My fourth attempt at producing a quilted item resulted in what you see here. 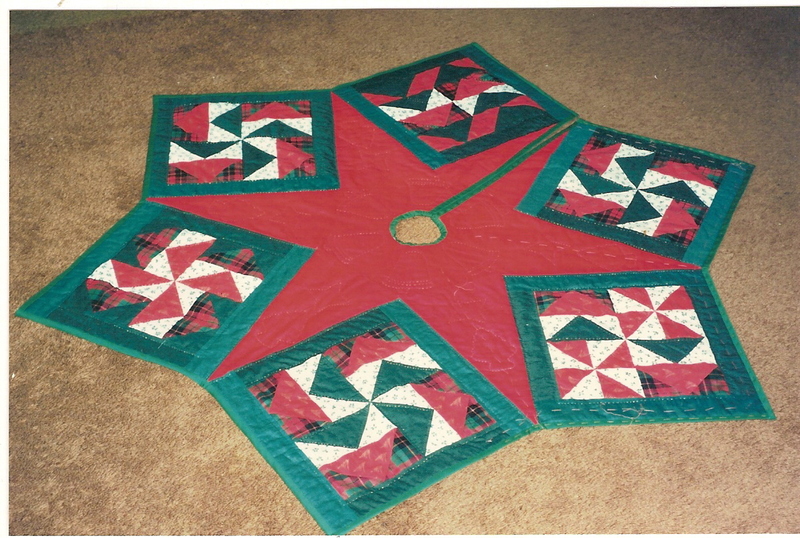 I got tired of seeing my sister use leftover Christmas wrapping paper for a tree skirt, so I made this one for her and presented it to her for Christmas 1993. Four blocks were a pattern called “Dutchman’s Puzzle” but the remaining two were of my own design so that I could use up the rest of the fabric. 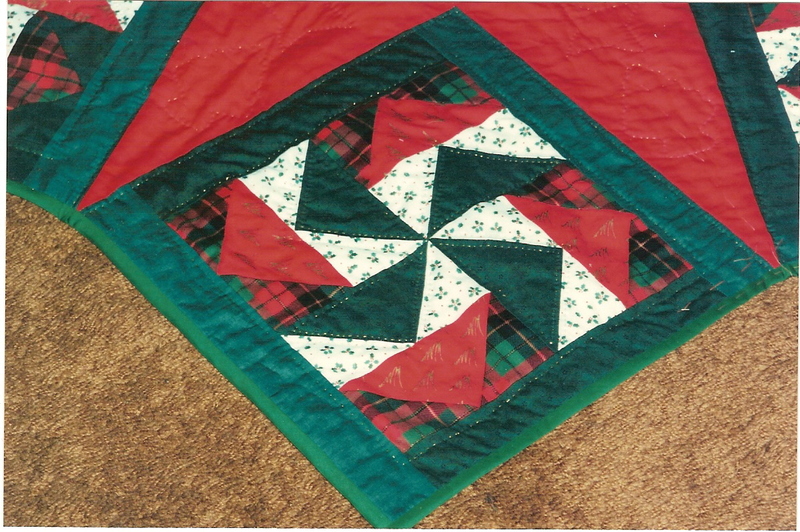 The pattern for the tree skirt came from a magazine, Quilting Today, issue 33 (Dec. 92). I got "daring"; all those points for the first time. I had taken a class and practiced my hand quilting stitch. No more tying for me. Mind you I did not make a good choice for thread. It was a gold metallic DMC thread; not the easiest to quilt with. Here is a detail picture. I must apologize for the quality of the pictures. They were taken long before digital cameras were available. 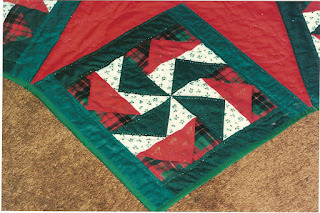 Beauty - I've been looking for a pattern to make a couple of tree skirts. What size are those blocks? I might be able to draft one up! what a beautiful tree skirt - wonderful fourth project! I think that your sister must treasure this. It was an ambitous fourth project, but you did an excellent job.